Another one of those ‘out of sight, out of mind’ areas of the house is the potentially black hole-ish areas under the kitchen sink. A place of accumulation when you are standing in the middle of the kitchen and find yourself with an item that either has no home… or has a home somewhere else in the house that you don’t want to walk too… or, like the bathroom, is full of half-used ‘this or that’… the area under the kitchen sink can quickly become a cluttered disaster zone. Well… don’t panic. This is actually one of the quickest jobs in the challenge. If you work alone, you are looking at 10 to 15 minutes. If you work with someone, you are looking at 5 to 10 minutes. Get two empty boxes from the basement or garage. Assign one box as the: Throw Away Immediately box. 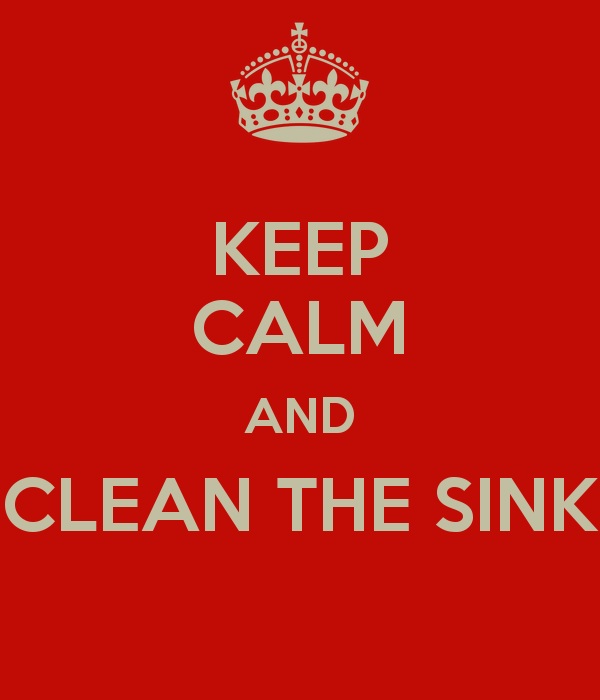 Assign the other as the: Put back under the sink, or find a new home for it. Approach the kitchen sink, and without over thinking it, start pulling items out and put them in their respective boxes. As soon as the area is clear, immediately dispose of the ‘Throw Away’ box. Go back to the ‘Put Away’ box and begin organizing items you are going to keep. Use a similar strategy to combining half used items as you do in the BATHROOM. Put the items that have no sane reason for being under the kitchen sink where they belong somewhere else in the house. This… like all parts of the challenge, can and should be done at least twice a year in order to keep this beast tame. You’ll be in good shape. Are you ready?… let’s do this. Just don’t combine household cleaners!! Could be dangerous chemical interactions. And check to see if there are special instructions for disposal.